In today’s mobile app world, many apps are provided to users free of charge. At first glance, it may seem this is not very logical from a monetization point of view, in truth one of the most underlying reasons is earning considerably substantial revenues through ads. 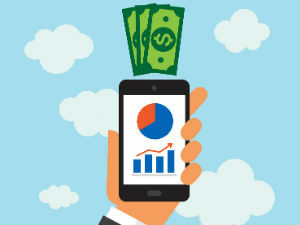 This article describes how to monetize mobile app. In-app purchases and advertisements are the most significant ways to earn money for companies owning mobile apps. Because, only paid features may not be enough for you to make money from your app. Especially regarding the ads, some strategic approaches can help you with earning more. So how do you make some income from your app with ads? How to Earn Money with In-App Advertising? You can filter the kinds of ads you will show to in your app to the users according to their category. Defining the ad categories to display according to your app’s type may increase the possibility of users clicking it. Especially if you are using pay per click model, defining the ad categories carefully is of benefit. Promotional elements you use in your mobile app causing a loss of speed appears as an undesired situation. Especially in the games, ads that slow the app down may even lead users just to remove the app from their device. Designing the areas and looks of your in-app ad fields according to information such as on which platforms your app is preferred more, which screen sizes will it be used most often, etc. can help you with keeping the user experience great. For example, in a game app suddenly showing an add that will fill half of the screen may block the user from playing. Eliminating, or at least minimizing such occurrences is a good idea. Even though in-app ads display independent of user action, allowing the user to close or pass an ad or video is necessary for mobile user satisfaction. If app users are left to watch an advertisement video that they are not interested in and forced to watch it to its end, they may get bored of the app. When you monetize mobile app, you are actually finding the balance between user satisfaction and income is important for companies in in-app ads, which is a major source of income for the mobile apps. If you too want to be a part of the mobile world and don’t yet have an app, you can have your mobile app with MobiRoller. To get the advantages MobiRoller provide, and more, create your MobiRoller account right now.